It's probably because math was so hard for me that I so admire people, especially women, who excel at it. 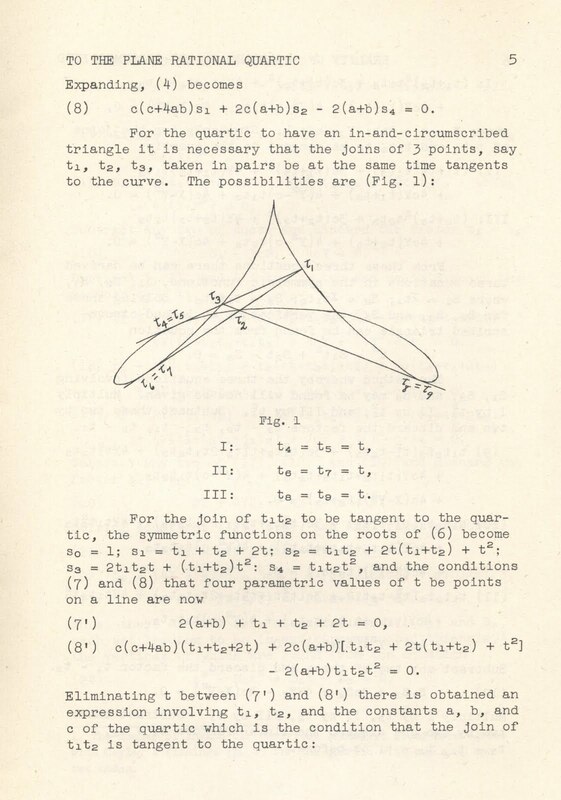 It was gratifying, then, to find Sister Rose Gertrude's 1948 PhD dissertation in her file, just 18 pages of calculations and graphs titled "The Reality of the Triangles In-And-Circumscribed to the Plane Rational Quartic With One Cusp and Two Nodes." I'll leave it to the experts to figure out what that actually means. What's so marvelous to me is the brilliant arc of her life at the Mount. She was born in Anaheim in 1909, grew up on a ranch, schooled in Yuma, AZ, and Hemet, CA -- the geography of rural nowhere. 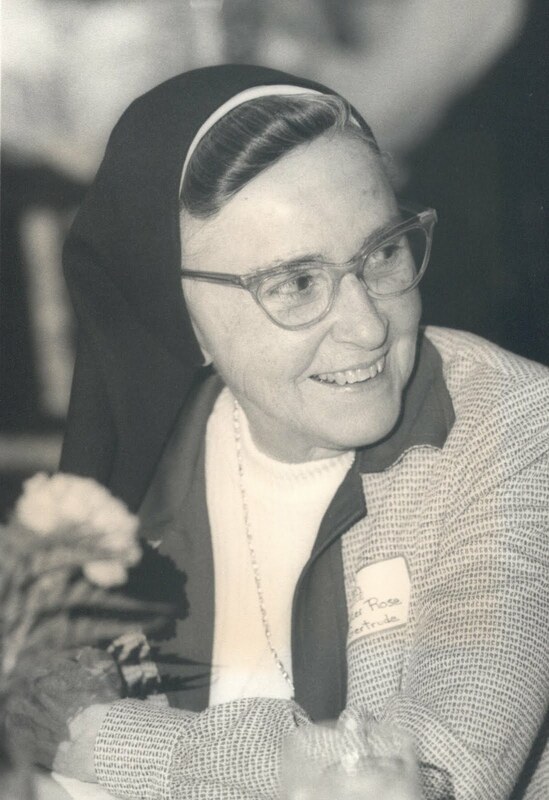 Somebody must have spotted what a fine mind she possessed and propelled her to the Mount, where she could excel -- to be "all of which woman is capable" in the great phrase of the CSJ charism. According to our written history, Sister -- who was Mary Ann Calloway back then -- took part in the college's first "entertainment" as an undergraduate in 1927. Three months after graduation she became the first alumna of the Mount to join the Sisters of St. Joseph of Carondelet. In 1935 she was back teaching math, and then on to department chair, academic dean, president, back to department chair and then director of financial aid. There was post-doc work funded by the National Science Foundation. All in all, it was the career of a distinguished professor. But one thing that always impresses me about the CSJs is how they are never exalted by having held high academic office, and there is always work to do. 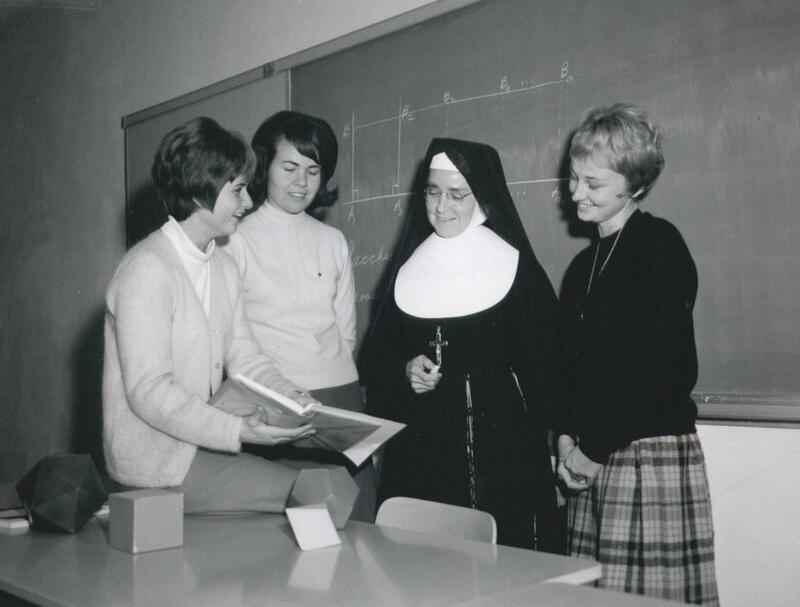 At 75, when she started to slow down, Sister Rose Gertrude was "missioned" to Daniel Freeman High School as a math tutor. She passed way in 1992, leaving a final legacy -- an inventory of all the pets and animals that were part of Mount life in her years on the hill. All that, and the Plane Rational Quartic With One Cusp and Two Nodes to boot.